Seal in your foods healthy flavor with this cast iron skillet lid. Fits SK-14. 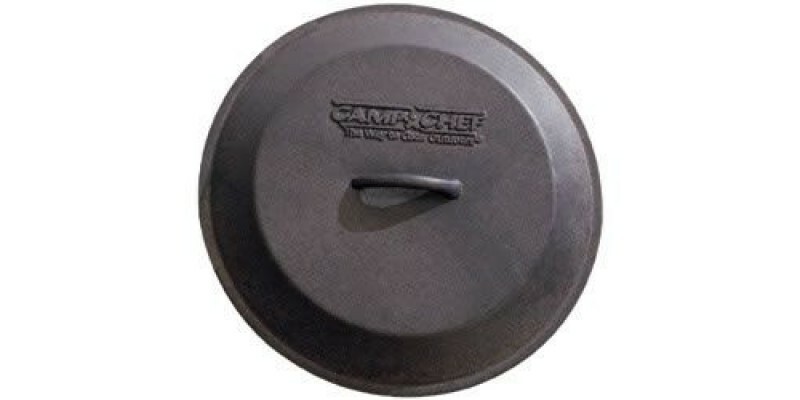 Camp Chef 14" Seasoned Cast Iron Skillet Lid is rated 5.0 out of 5 by 1. Rated 5 out of 5 by leggmarian from Gigantic! Sturdy, well-seasoned. This product will be used for cooking outdoors for a group. It's perfect for the job.